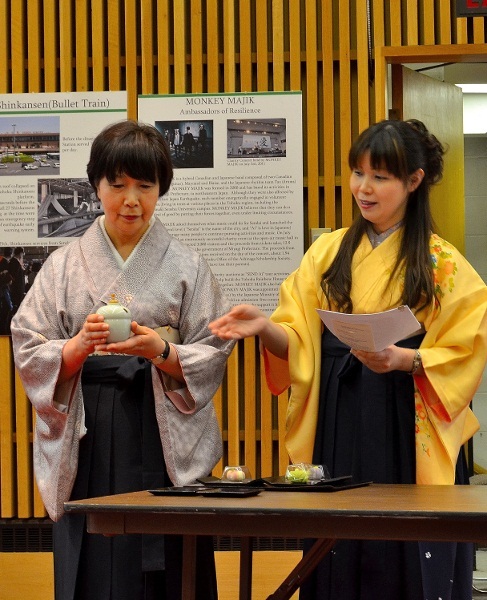 2012 Spring at the Embassy of Japan in Ottawa! What a magic meeting yesterday! 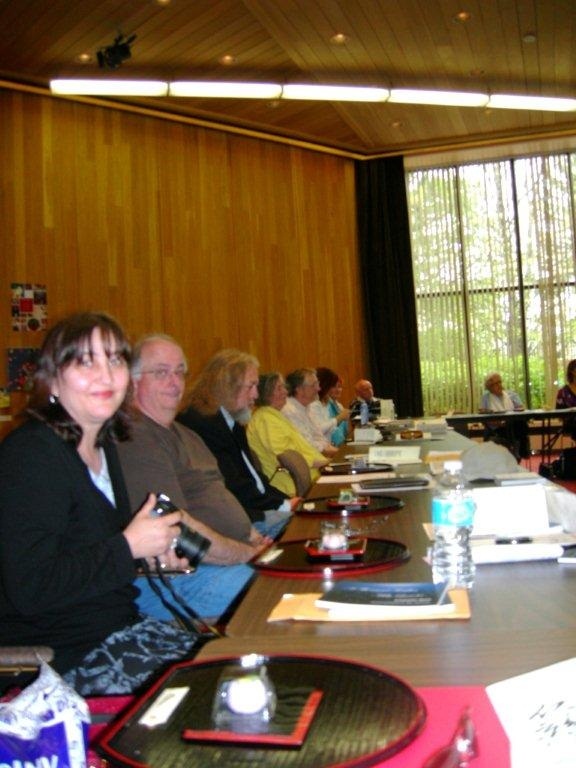 This was the twelfth year we have held our Spring meeting at the Embassy! Mr. Toshi Yonehara and Ms. Chisa Takiguchi greeted us, and we began with a gift of haiku magazines from Japan for KaDo members from the Embassy, the introductions of guests, and regrets from Lana Holmes who was not feeling well. We just had to take time to admire Heather MacDonald’s beautiful brush paintings, of gladiolus for the agenda, and ‘kindheartedness’ on the broadsheet, Stuffing the Feeder, which was read next. These broadsheets become, because of her paintings, works of art as well as collections of poetry. 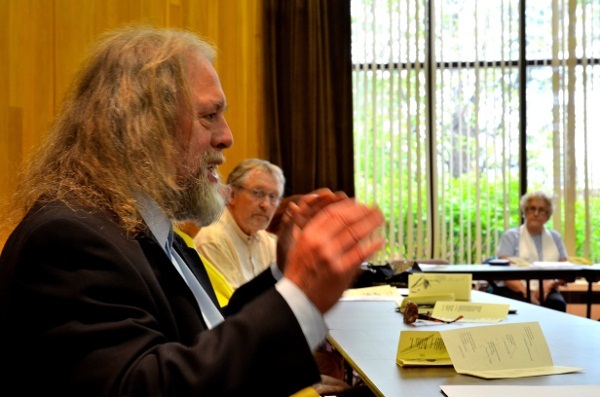 The broadsheet was edited this year by Grant D. Savage, and produced by Mike Montreuil. During the reading Grant inserted extra poems that he would have liked to have been able to include because they were such good haiku. Thank you Grant and Mike. Next on the agenda: books – Mike Montreuil’s press, Éditions des petits nuages, published l’estuaire entre nos doutes: tankas de chez nous, an anthology of tanka in French by Montreal poets, edited by Maxianne Berger; Tommy Knockers, the Mineral Point Retreat Anthology, edited by Mike Montreuil, and A Thousand Fireflies: Milles Lucioles, tanka by Luminita Suse, translated by Mike, beautifully presented by Luminita, with Mike reading a couple of the translated poems. He also talked about another publication he translated, comme une étoile filante: like a shooting star, by Micheline Beaudry, Bondi Studios. Anne Marie Labelle, who had come from Montreal with Angela Leuck, Steve Luxton and Pamela Cooper, talked about her book, Ma lumière est une ombre / My Sunshine is a Shadow, English translation by Blanca Baquero, about the adoption of her daughter, and illustrated with her daughter Lovita’s drawings. Anne Marie also works at times with Mike on translations; she is an actress, which made for a great presentation. Terry Ann talked about Day Moon Rising, Black Moss Press, focusing in her poems on her work in Cambodia with the Tabitha Foundation, and the children caught in child prostitution. 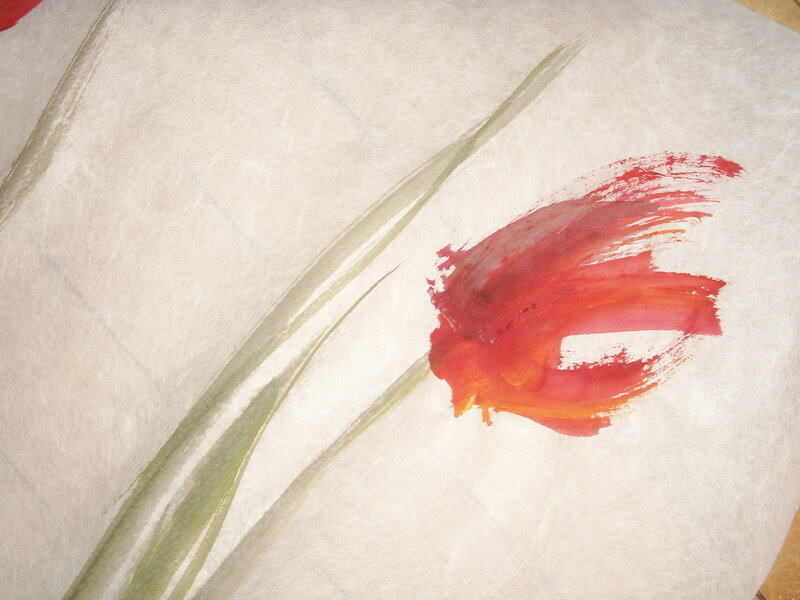 These are lyric poems, with inclusions of haiku and tanka. 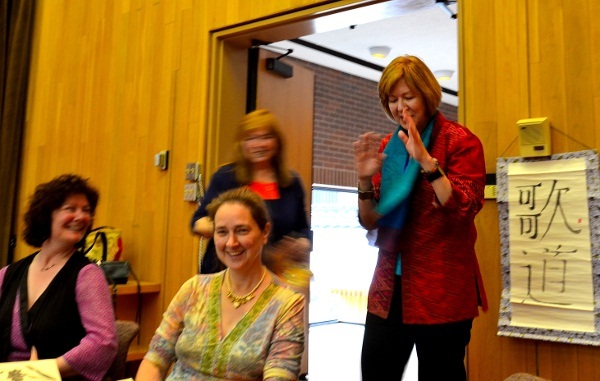 She commented that it was such a great step to have haiku considered part of a Canadian mainstream poetry publication. She also mentioned her newest book, Allelulia!, haiku and tanka translated by Montreuil, Buschek Books, which will be launched on June 6th. (More news later on the launch.) Masud Taj, poet/architect, showed us his book, Nari Gandi, published by The Foundation for Architecture, Mumbai (with wooden covers! ), a copy of which is in the Carleton University Library’s Special Collection. 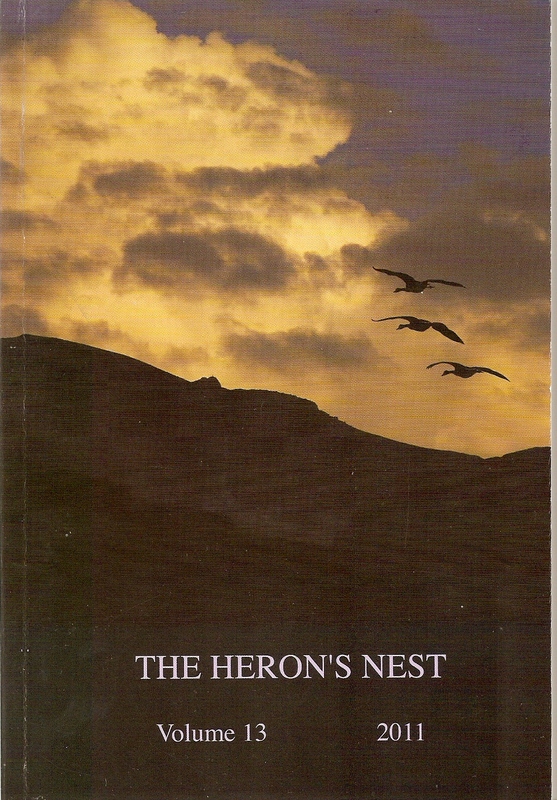 He gave us a few memorized poems, (all of his poetry is memorized) told the story of a connection with a well-known reclusive architect in India and how it led to the manuscript, and showed the book with the poems in his own calligraphy. His short poems seem very like haiku in breath and spirit. He said a few words also about his Alphabestiary: A Poetry Emblem Book by Taj and Bruce Meyer, Exile Editions, Toronto, a book for which Guy Simser expressed great admiration. Our special presenter was Shinobu Sakane who studied Japanese Literature & Culture and the Teaching of Calligraphy at Toyo University, focusing on the History of Japanese culture. She studied Wagashi cooking at several professional schools in Japan and has developed her own recipes. 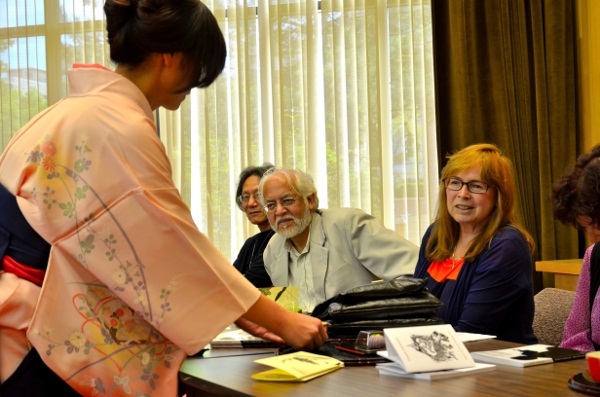 She now teaches cooking and history to the teachers of Sencha-do in Shizouka and Tokyo. Shinobu arranged for Sawa to present the story of wagashi to us. 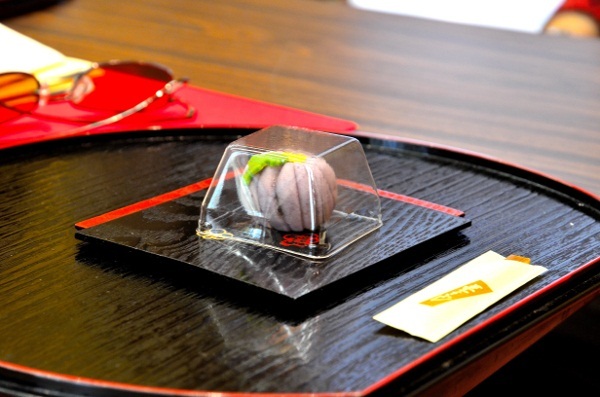 Meanwhile Shinobu and Chiho offered, on special trays, a piece of wagashi to each of us. So delicate and colourful, they were presented on lacquered wooden squares; everyone who had a camera took close-up photos. Sawa told us how a certain small candy wagashi was made, the sugar continuously ‘stirred’ for about two weeks until it formed around a grain of rice; samples were passed around. (I don’t have a photo of these candies, but Pearl Pirie has a goood pic on her website. Sawa spoke too, of a time in Japan before sugar existed, when sweets cam from fruit. Today sugar is used. Sawa then linked each perfectly molded wagashi shape with either the waka of Heian times, which we have been calling tanka, or the haiku of later times. There was a story for each piece. Apart from their beauty and appropriateness to occasion and season, they were delicious! 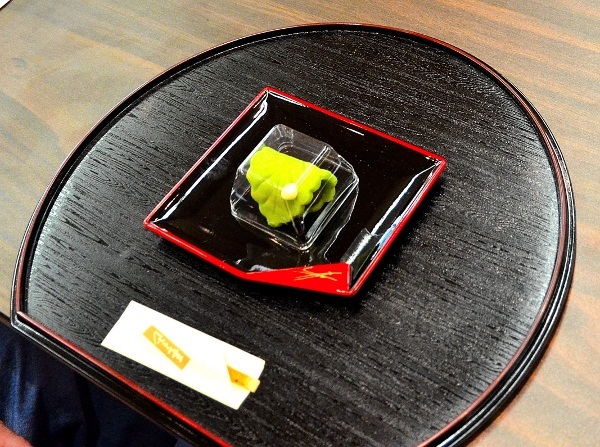 Green tea made from leaves, not powder, was served in delicate cups which matched the trays. Every part of the presentation was exceptionally beautiful, and inspired haiku that were read out while we drank our tea. 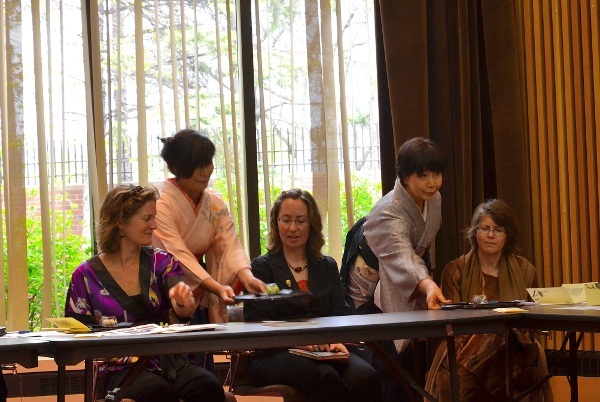 We thanked Shinobu Sakane, Sawa and Chiho. On their way out, Terry gave them copies of Day Moon Rising. I want to thank Terry for her thoughtful gift of a silver elephant from Cambodia. She and I have a little ‘elephant’ history going on, which was extended later in the evening. Read on… We owe many thanks to The Embassy of Japan, to Mr. Toshi Yonehara and Ms. Chisa Takiguchi for extending the time for the meeting this time so we could fully enjoy this most unforgettable afternoon. Afterwards ten of us went to The Blue Cactus – great food, great conversations with Mike Luminita, Terry, Sandra, Brendan, Pamela and Anne Marie, Steve, and Angela. We celebrated the two weddings coming up, Angela and Steve, and Sandra and Brendan, both on the same day, June 30th!!! Afterwards Sandra and Brendan, Terry and I went back to the Embassy for a screening of a film about women survivors of the tsunami and how they are doing a year later. In 3.11– In the Moment, we saw footage of the wave hitting the reactors at Fukushima taken from the Fukushima television offices which were very close to where the wave hit. There was footage also of the studio itself shaking, computers and files sliding, and some of the panic in the newsroom as the tsunami hit. Director Kyoko Gasha from New York, talked about making the film in only two weeks, with the main focus on women’s experiences. This is another ‘elephant’ moment between Terry and me, as we watched the women making elephants out of towels, which have become a symbol of hope, and which are sold to raise relief funds.This is only the first in a series; the screenings are free, and open to the public, but seats must be reserved. The next will be shown on May 15th at 7 pm. The evening is called Can You See Our Lights, and comprises two films: The First Festival after the Tsunami, and Setting Sail From the Ruins. 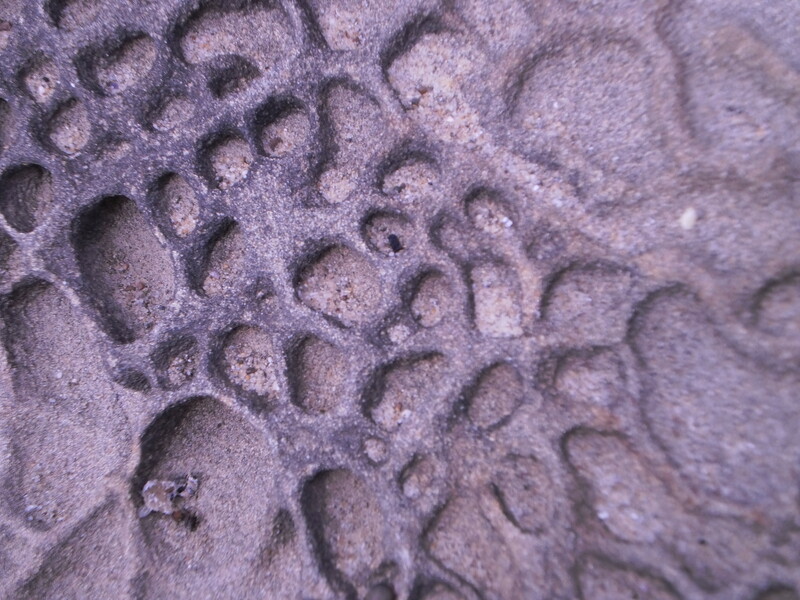 For some reason, my new camera, bought in Newcastle, Australia, turned about 30 of my first beach rock photos purple. 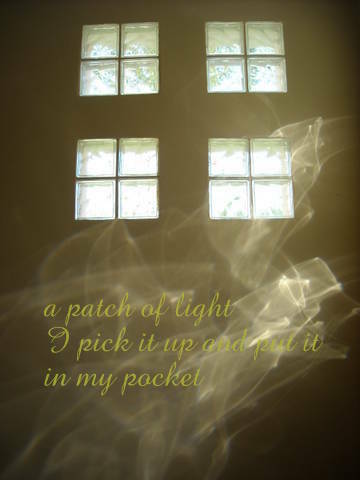 (Then it was okay…) Doubtless, there is a haiku or tanka in this somewhere… but I was just looking for a flash image to pass on two striking happenings in the lives of two haiku poets, Dina E. Cox and Carole MacRury. You may know Dina E. Cox as a haiku poet, but she also writes lyric poetry, and Signature Editions has just published a collection of her lyric poems. Anyone living in or near Toronto can attend the launch. 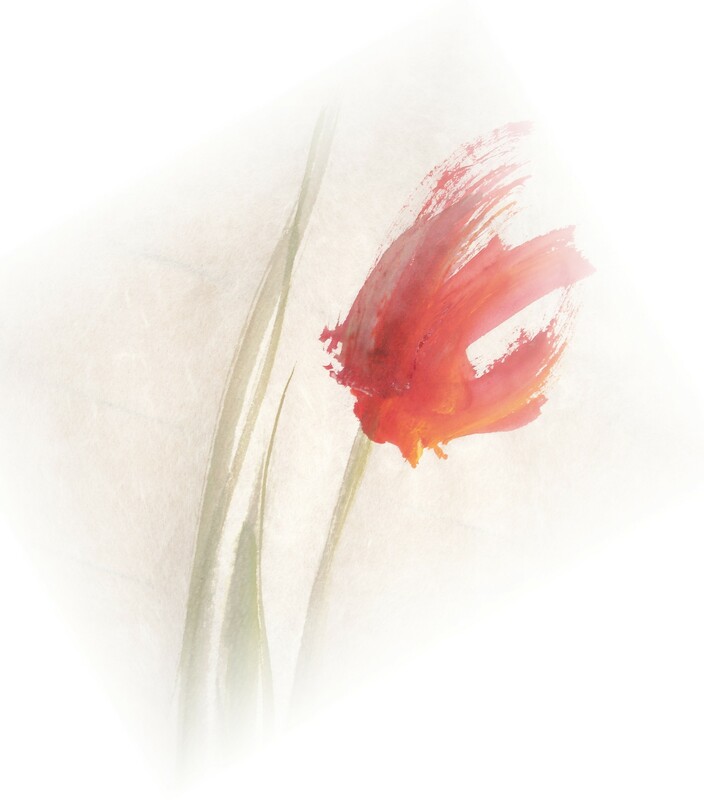 Dina writes: This is to announce that my first collection of poetry, small flames, published by Signature Editions, will be launched in Toronto at the Magpie on Sunday May 6, 2012. Sunday May 6, 2012 from 2:00 – 4:00 p.m. 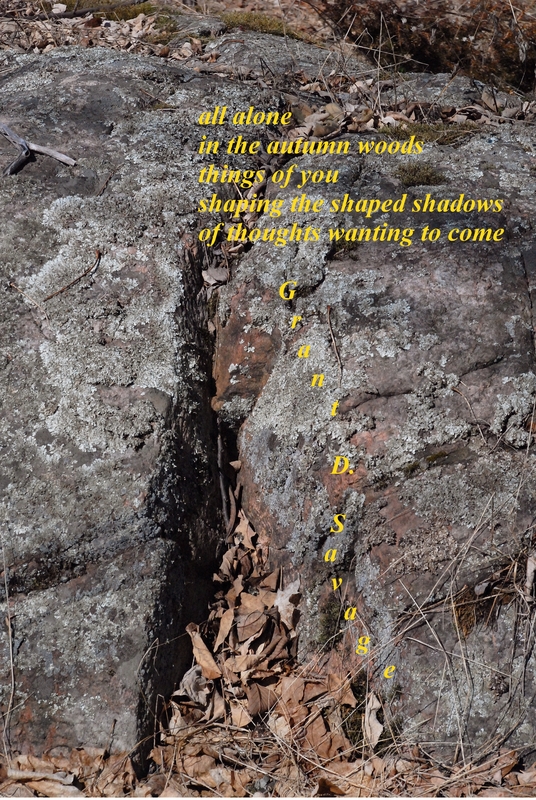 Some good news….Two of my haiga, featured in an article titled, “Babble and Doodle: The Words of Haiku and the Strokes of Haiga” by Naomi Beth Wakan will appear in the summer issue of “Stone Voices”, Art Exhibition and Literary Showcase. 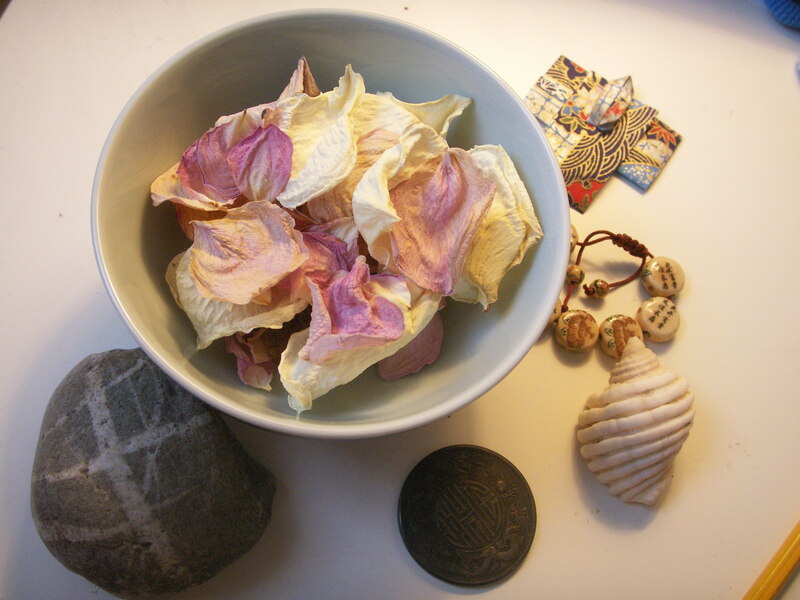 This delightful magazine might be of interest to the artists among us: http://www.stonevoices.co/ And the writers – thank you Naomi, for including me in your interesting article. WordPress does strange things at times, and one thing is that it rearranges the photos the blogger uploads. In this case, it makes the blog lucky to start out with a tan-shahai by Grant D. Savage. We are calling it a tan-shahai for now, for want of knowing if there is a true name for it. 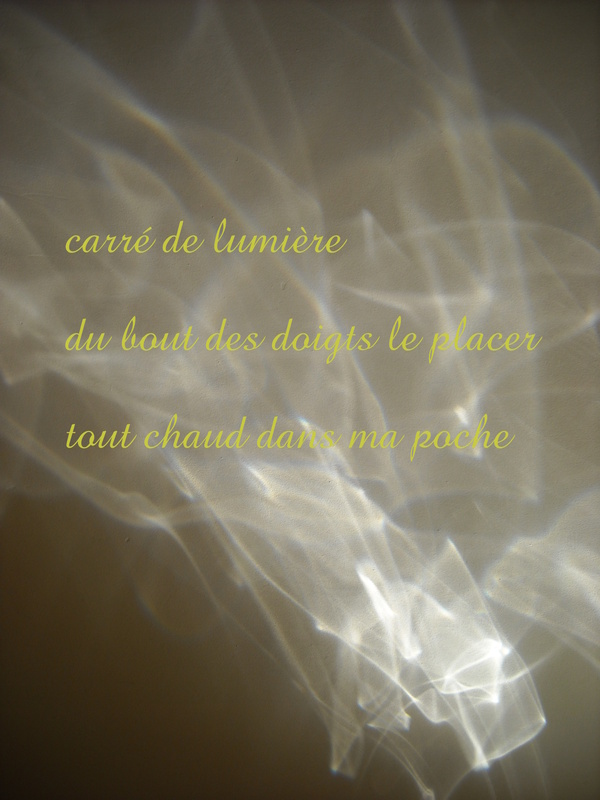 A shahai is a photo with a haiku superinposed, but with a tanka? 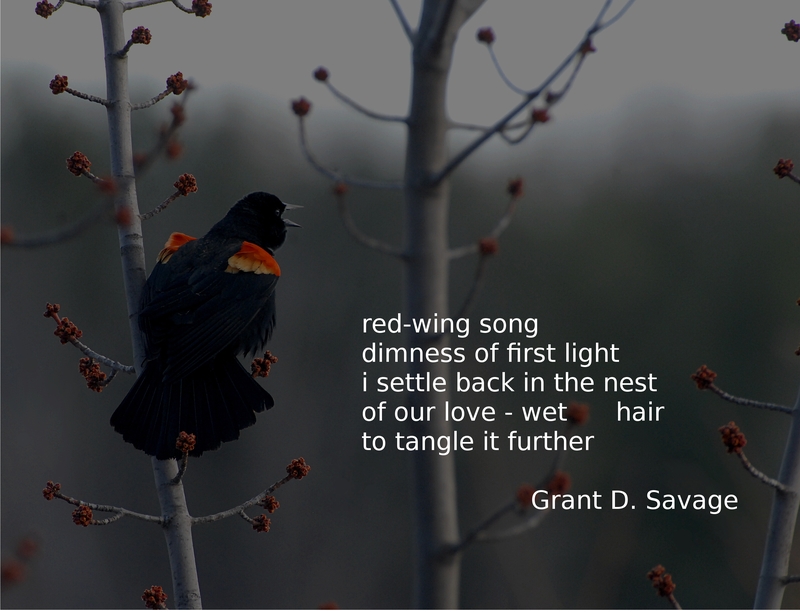 There has been talk on other websites as to whether photos should be used to inspire haiku. We hope to get some comments on this I think: Use the little ‘cloud’ at the top of the post to have your say, or send it to me by email. My address is near the bottom of this post. In any case, here is one photo that I took; perhaps someone will get a haiku from it. 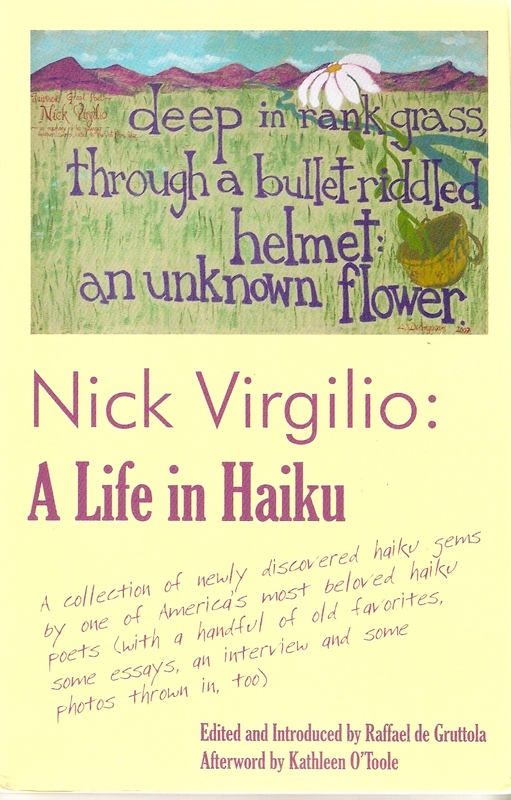 Here is a book every haiku lover should have: It’s full of the known and newly discovered haiku of Nick Virgilio, essays about the life and work of Nick Virgilio, and an essay he wrote. It’s also lovely to hold. From Rick Black’s Turtle Light Press. You can order from the website. $15 = $5 postage, and worth every cent. He is trying to have someone bring some to the conference. If so, then there will be no postage. I know I said I’d post only once a week or so but I’ve had contributions to the blog that I’d like to get out to everyone. Another package today from Scrivener Press who printed Haiku Canada’s 35th Members’ Anthology, Touch of a Moth, which all Haiku Canada Members will get. I opened it to find bookmarks to go with the books, (that are sitting here behind a living room chair in cartons until our Haiku Canada Weekend in May) the bookmarks complete in themselves as little artworks. 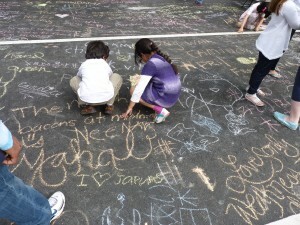 This news from Rick Black’s Turtle Light press blog: Haiku Hits the Streets in Washington, D.C. Crowd of 100,000 people at the Japanese Street Festival in Washington D.C.
1. A haiku is a car, a poem or a Japanese vegetable? 2. Who wrote a famous haiku poem about a frog…? 3. 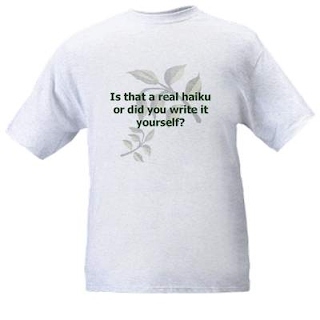 Haiku must have 17 syllables in three lines of 5-7-5 – true or false? 4. Issa was a great Japanese baseball player – true or false? And then the flow of visitors began. It started as a trickle, then increased in intensity as the day went on. People would just look at the booth, astonished, and say, “I didn’t know there was a Haiku Society of America.” That was the most oft-repeated phrase that I heard throughout the day! During the day the streets were completely packed with people from one side to the other, watching Japanese drummers or performers faking a sword fight, drinking Japanese beer or buying souvenirs. Overall, we must have had at least 1,000 people or more at our booth. Many people went away with a book, a brochure, a flyer, a bookmark, or a pencil – and the happy memory of writing haiku. For more photos, see Rick’s personal Facebook page. Says John: Just uploaded a short book, “maybe a week (it’s all one poem)” to scribd — and you can find print copies at lulu — http://www.lulu.com/shop/john-martone/maybe-a-week-its-all-one-poem/paperback/product-20075838.html I’ve just ordered mine! I wonder about your thoughts on having a KaDo blog. Let me know. 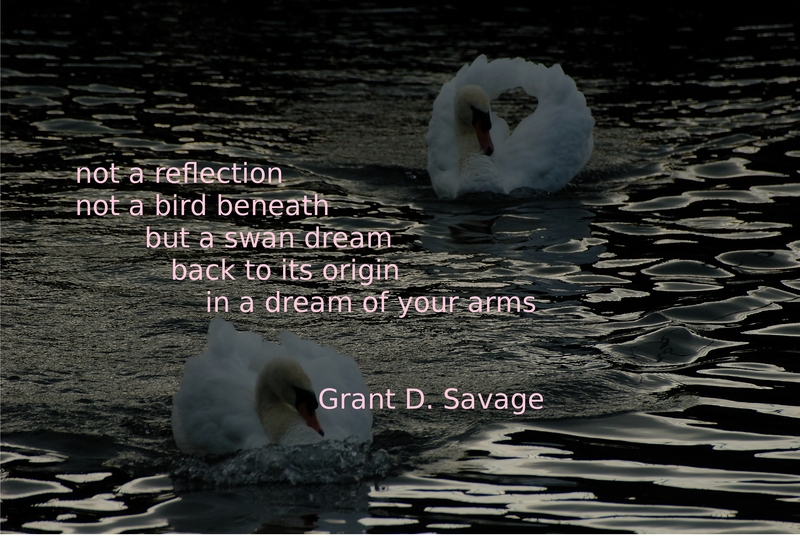 Today’s post features another shahai by Grant D. Savage, and a tanka sequence he read at Tree on April 10th, and for which he was complemented by a/several poet(s) of stature. Tulips to remind everyone: Let me know by email, (claudiarosemary@yahoo.com) whether you’re coming to the May 12 event/meeting at The Japanese Embassy, and how many guests you will bring. Please let me know as soon as possible as our surprise guest has to know what to prepare. Make sure to send me your numbers by email (not on the blog) by April 28th. Put “Embassy” in your heading…. No blazing heat yet though here in Ottawa. Grey skies and rain to get those tulips growing. But that’s not stopping our Mike Montreuil from finishing up details and getting the collection of Drevniok Award winners to press. 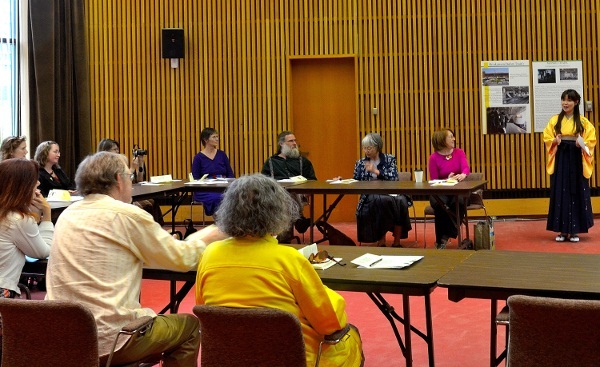 Keep May 12th open for our Spring Embassy meeting! It is at 1:00 – 3:00 in our traditional venu, the Japanese Embassy. It was brilliant of Terry Ann to make this connection with Mr. Toshi Yonehara so many spring seasons ago. This year we have a very special guest who will explain about the tradition of making special seasonal sweets. In a couple of weeks I will ask exactly how many people are coming so our guest will know how many to prepare for. remember that you may bring guests, whether they write haiku or not. 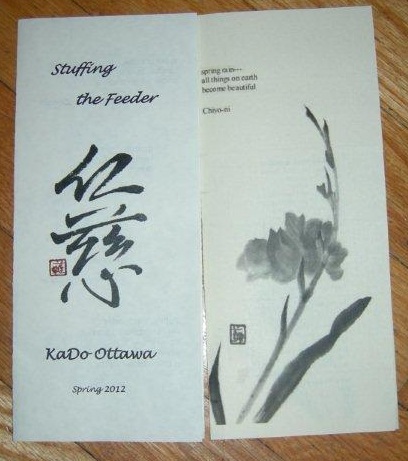 A note that Pearl Pirie’s blog Pesbo shares a link called A Quick Primer to haiku. Worth looking up.